From ground up construction to alterations and finish outs, we handle all types of construction. Over 40 years of experience safely delivering high quality services. Building great structures one relationship at a time. Best delivery of quality and efficiency through LHG's exceptional management system. LHG, Inc. was founded in 1972 by L. Harley Galloway. His philosophy is based on the unwavering pursuit of individual responsibility for quality, service and safety. 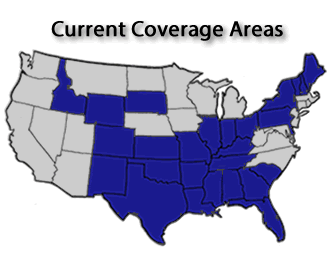 LHG, Inc. has grown into a premier national construction company, with a broad geographic presence in the United States. Our "team oriented" staff of designers, architects, engineers, estimators, managers, supervisors and highly skilled workforce provide our clients' services from preconstruction and construction management to general contracting. LHG, Inc. has developed an exceptional system of management that allows us to be flexible yet precise, without loss of efficiency or quality. This system has made it possible to design, design build and construct a wide range of projects including commercial, retail, and industrial construction. Based on our repetitive clientele, our system of quality and service has proven itself efficient with lasting durability.